I am very grateful for your continued interest in our humble work and it is my privilege to inform you about current developments here in Frankfurt, Germany. 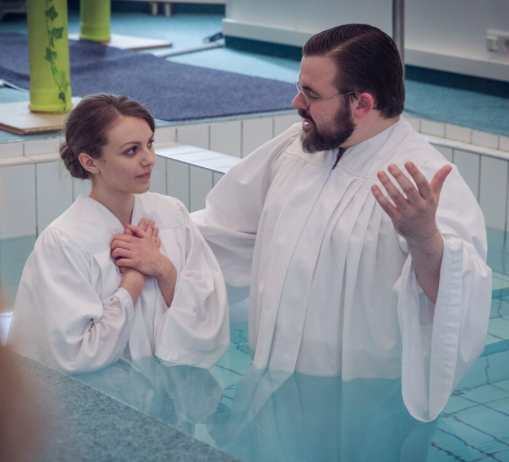 We give thanks to the Lord as we recently received two very God-fearing women into our membership and had the joy to baptize one other young lady. 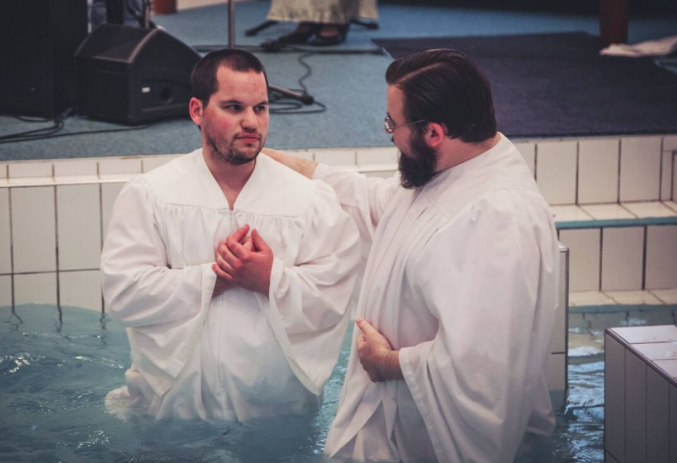 Our baptism service was attended by approximately 130 people and quite a few unbelievers heard the gospel. May I asked you to pray for all those who listened? It is very encouraging to see how these three ladies fit into our church body and how they faithfully and lovingly serve wherever they can. Please join us in thanksgiving as we rejoice over such valuable additions to our fellowship. Two other women from a none Christian background who are in intensive contact with our church and church members, recently confessed to us that they came to faith in the Lord Jesus Christ. It is very encouraging to see them growing in their knowledge. A Chinese family from a complete atheistic background continues to visit our Sunday services every week. They have never been to church before but now they seek the Lord and long to be saved. They started to pray and to study their Bibles daily, and we already see changes in their lives. We trust the Lord will bring the joy of full assurance of salvation to their home soon. May I ask you to pray for all those in our midst who seemingly begin to take their first steps in following Christ. About six other people have requested to become part of our church. Two of them are not yet baptized and asked to receive this holy sign of the new covenant. We are still in the process of examining people. May I ask you to pray for our member and for us as pastors as we need grace and wisdom to assist these people in their situation? We do have quite a few young married couples in our church. This year, four children were already born and four more are expected. This is a great blessing for all of us. It is a new situation for the couples and for the church. May I ask you to pray for the parents and for the whole church that might glorify God the giver of all life in this new situation? We continued to instruct a group of men in our church to faithfully explain and proclaim the holy Word of God. Three of them already preach once a month in our midst. May I ask you to pray for these men who aim to be useful for the Kingdom of God? Every Saturday we reach out to bring the Gospel to the people of Frankfurt. It is very encouraging to see a growing number of people from our church investing their time and strength in street evangelism but we still need to grow a lot in this vital area. We still see no fruit of repentance through our weekly outreaches. May I ask you to pray that Lord might grant us more passion for souls and grant us the joy to harvest, too? In cooperation with Grace Baptist in Europe, we will host a conference (20-22 September 2018) in the area of Frankfurt. Voddie Baucham, James Renihan and others will answer the question - “What is a healthy church?” The following subjects will be covered: Biblical Worship, Biblical Membership, Biblical Fellowship, Biblical Preaching, Biblical Evangelism, Biblical Interdependency, Biblical Leadership, and Christ’s Love for His Church. It is our hope and prayer that this conference will serve to encourage and strengthen the body of Christ in Germany and beyond. We would be very grateful if you could assist us in your prayers. I give thanks to the Lord for His sustaining grace sufficiently supporting me especially when times a hard. The last months were extremely difficult for me. My co-elder and I experienced many challenges, obstacles, attacks, and bitter disappointments. I often feel very weak, overwhelmed and incapable but Christ builds His church and He does it in spite of me. 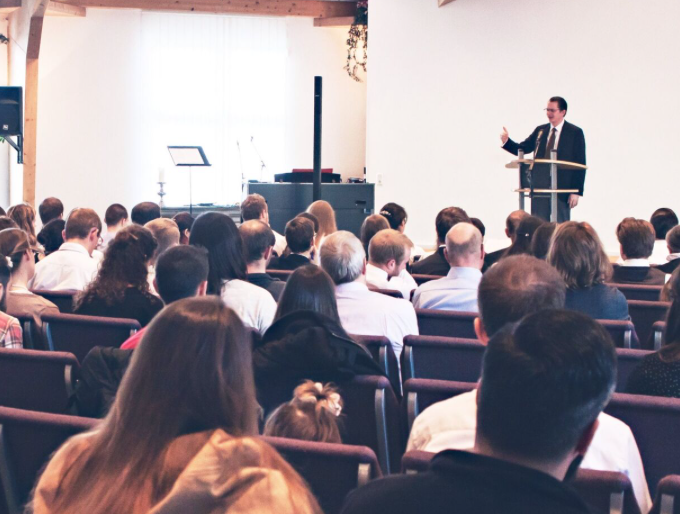 The knowledge that Jesus Christ is the great church planter and faithful pastor of His Church and to witness the effectiveness of His work is the greatest encouragement for me to keep on serving. May I ask you to pray for my co-elder and for me that we are joyfully strong in the Lord, and in the power of his might? I am truly most grateful to you for your prayers and every support. May all grace abound towards you by Christ Jesus.